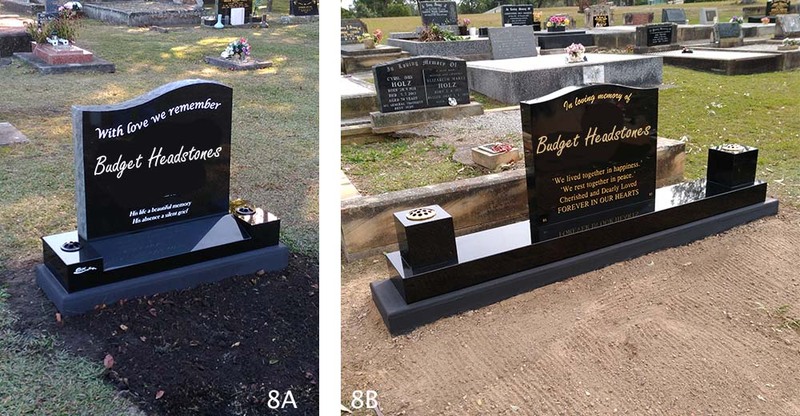 2A – Full Single Black Granite Monument Supported by six x 2 m piers and on a full 1 pc 200 mm mainbase Poured onsite. 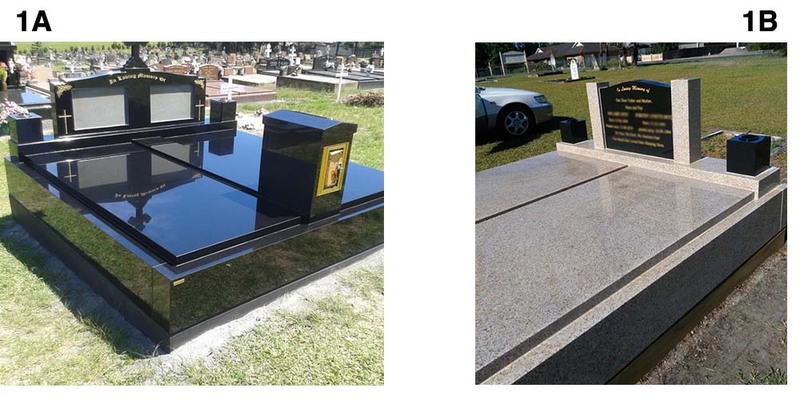 2B -Full Single “Paradiso” Granite Monument (Reduced Size) on a full Single (Concrete) main base. 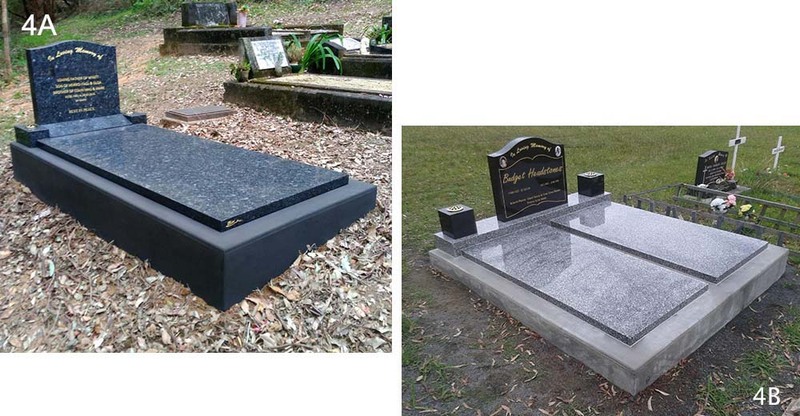 4A – Blue Pearl Granite (Special) On a Full Single Concrete (Tinted) Main Base with Ledger and (Taller Side). 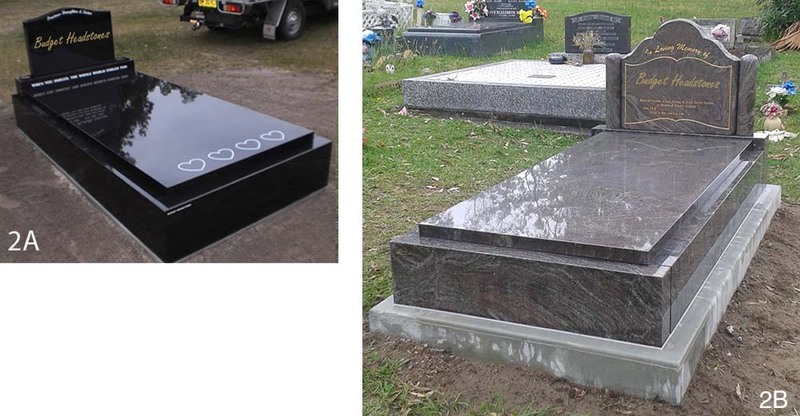 4B – “G788” Granite Ledgers and Head Block with Black Granite Headstone and Pot Blocks, On a Full Double Main Base (Extra Height). 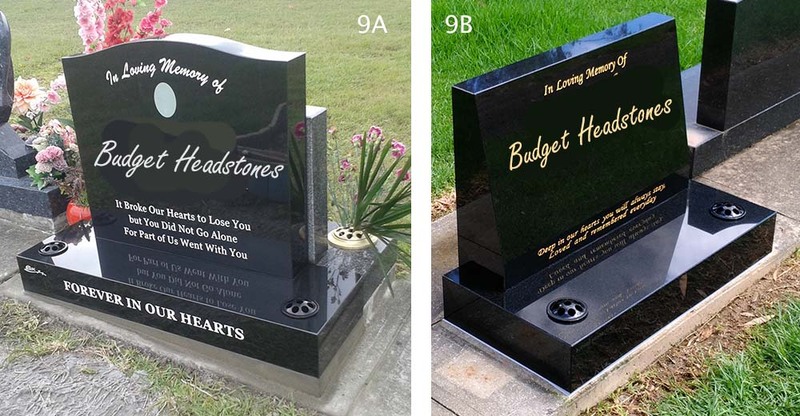 5A – Full Single (Tinted Concrete) Main Base with (Special) Headstone and Base on Top. 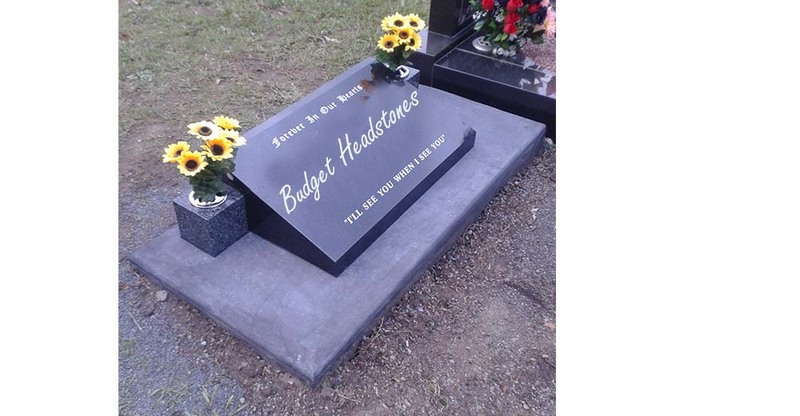 5B – Full Double (Tinted Concrete) Main Base With “Enlarged Headstone and Base on Top. 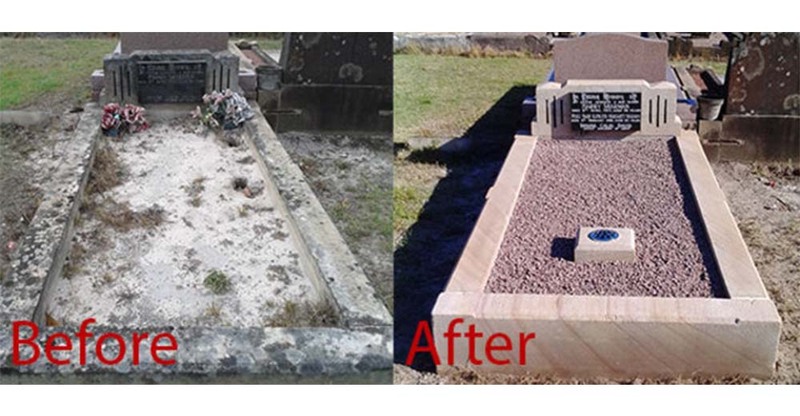 #7 – Sloper On Small (Tinted Concrete) Main Base. 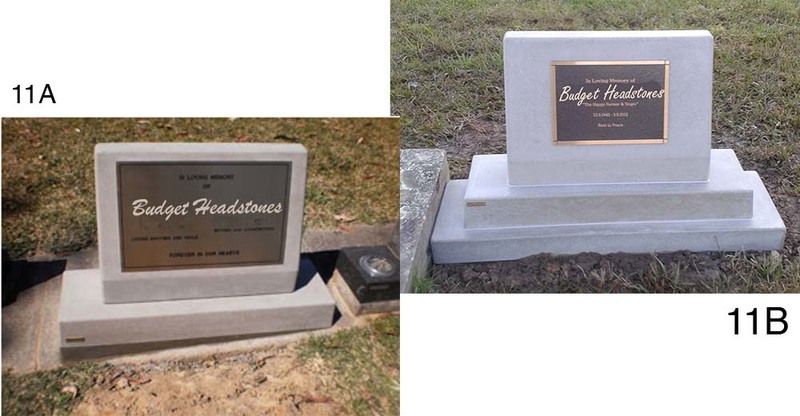 8A – Headstone (Rock Edged/Right High) and Base (Sloping Front) On Small (Tinted Concrete) Main Base. 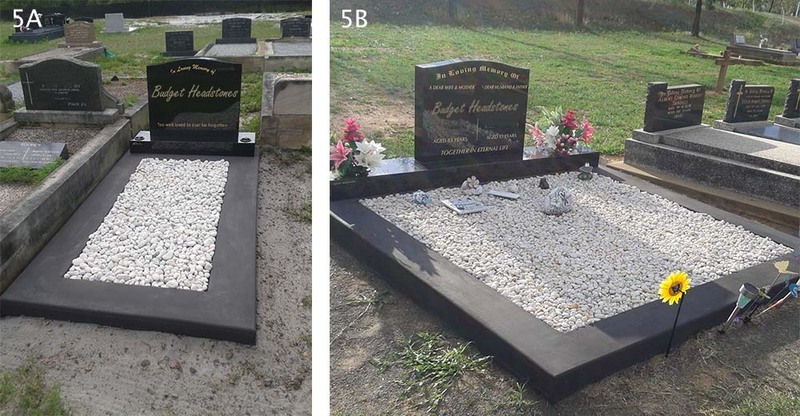 8B – Headstone and Base (Extra Large) With Pot Blocks, On Small Double (Tinted Concrete) Main Base. 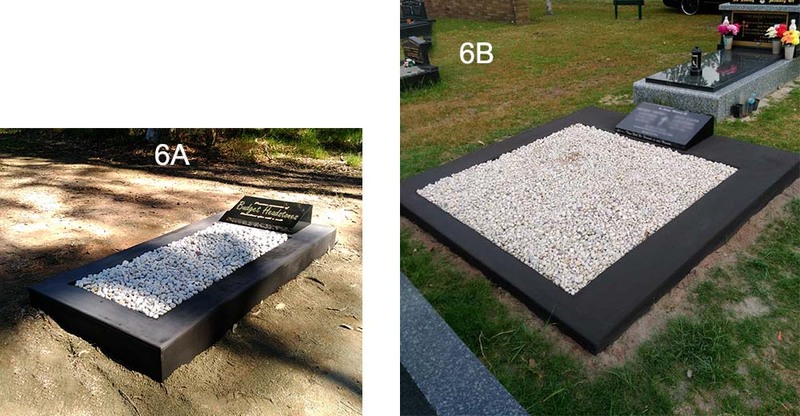 9B – Standing Sloper (Special) On Beam. 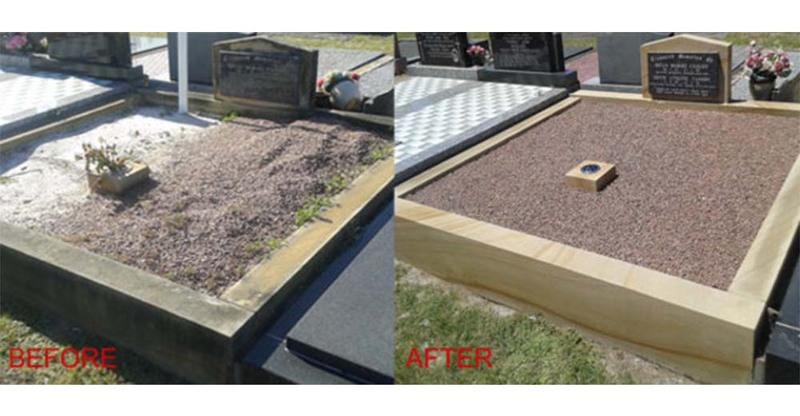 11A – Concrete (Special) On Beam. 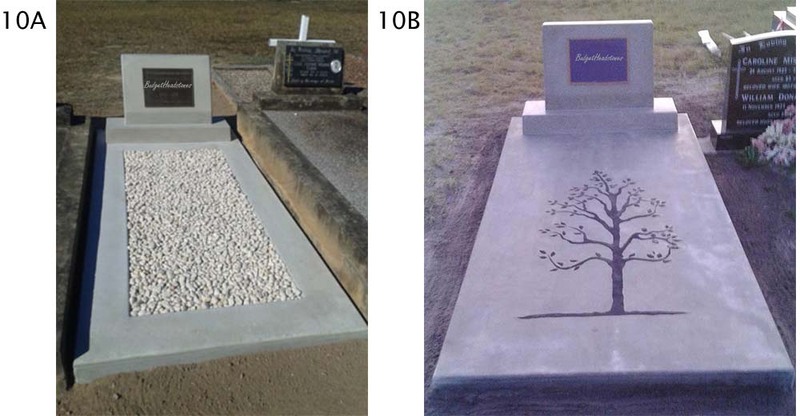 11B – Concrete (Special) On Small Main Base. 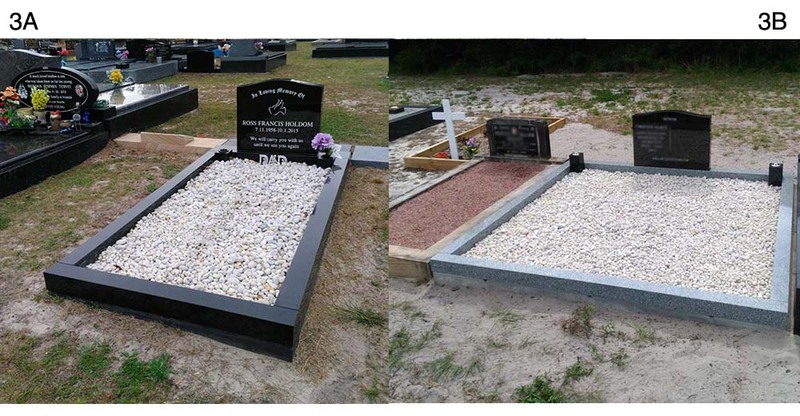 Thorough Clean & Weather-Seal designed to last 10 years and new Concrete Insert & Decorative Stone Infill.